1. A Generator! I prefer to have smaller generators that I can move around myself (although I wouldn't turn down a big one!). This WEN Gas Powered Generator would be perfect for the prepper in your life. It can be used for camping, home, and emergencies. 3. Pressure Canner and/or a Water Canner! Actually, I have a water canner because I got that for Christmas just a few years ago! However, I would love another pressure canner! This is the pressure canner that has sat on my wishlist for a while. If you are in the market for a water canner, this canner is the one I have and love! 4. Lights. Nothing is more important than good lighting when you are trying to see in the dark. Whether you choose a flashlight, a LED lantern, or an oil lamp, lighting can make a situation a lot less important. A good prepper knows you cannot have too many sources of lights. 6. Two Way Radios! Communication will always be important in an emergency or when needing to protect your property. Cell phones are not always reliable or may not work. These Baofeng two-way radios have been on my list for quite a while! 7. A Personal Water Filter! I actually have two Lifestraws, but I couldn't think of a better gift to give or receive! There are other options out there for personal water filters, but I think it is important to have one in the car and in your go-to bag. 8. Alternative forms of cooking! When the power goes out or you want to be off-grid a little more, having non-electrical forms of cooking is the ticket! I have had this Eco-Zoom Rocket Stove on my list for a while and I love what I have heard about it! 9. An emergency and weather radio! I do have a couple, but my favorite is this Kaito 5 Way Powered Emergency and Weather Radio with Flashlight, Reading Lamp and Charger. This is a great tool to have when the power goes out and you need to know what is going on! 10. A Foodsaver! Yes, a Foodsaver. I use this for storing food in the freezer and for being able to store more in my 72-hour kit and to-go bags. I use this to store my dehydrated goods, seeds, and grains. This Foodsaver has a lot more uses besides storing food! I didn't include any knives or personal protection items. I think this is a personal choice and I am not the best one to give advice on that. 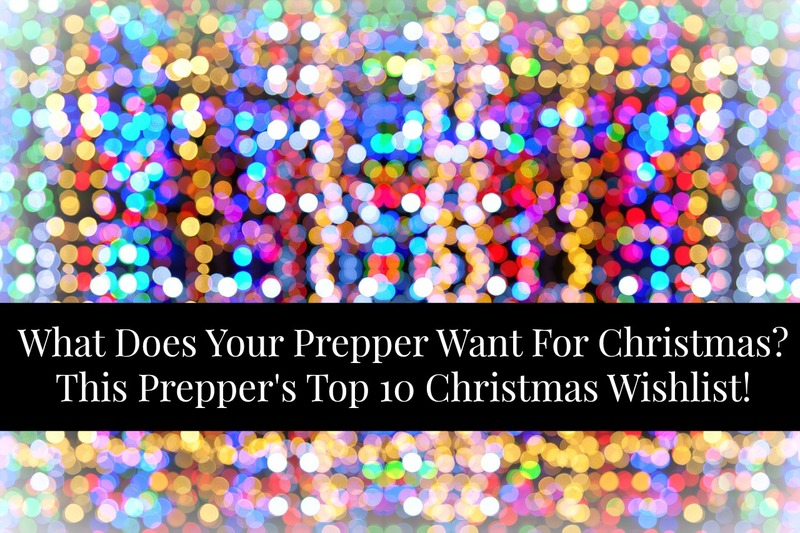 However, if that special prepper in your life gives you a specific idea of what they want, GO FOR IT! What would you add to this list? What is on your Christmas prepping wishlist?